This 8 plate cast iron Franklin stove is owned by the Thomas Jefferson Foundation. When it arrived at BRH for conservation, one plate was fractured and a replacement part had been created. 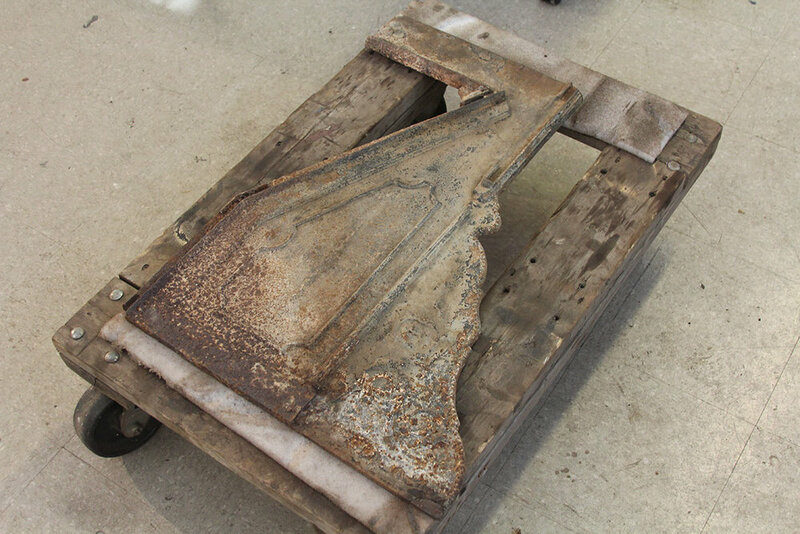 Remnants of paint, masonry cement, and surface corrosion were removed/reduced using appropriate mechanical methods and air abrasive techniques in isolated area. The small fragment that had corroded into the base slot was removed using penetrating oil and small grinding tools to loosen the corrosion products. This fragment was then cleaned and arc welded into its appropriate position on the stove plate using a high nickel alloy content welding rod. The small crack that remained on the front of the plate was filled using a pigmented polyester resin bulked with micro-balloons. The entire stove was degreased/cleaned using lint free cloths saturated with acetone. 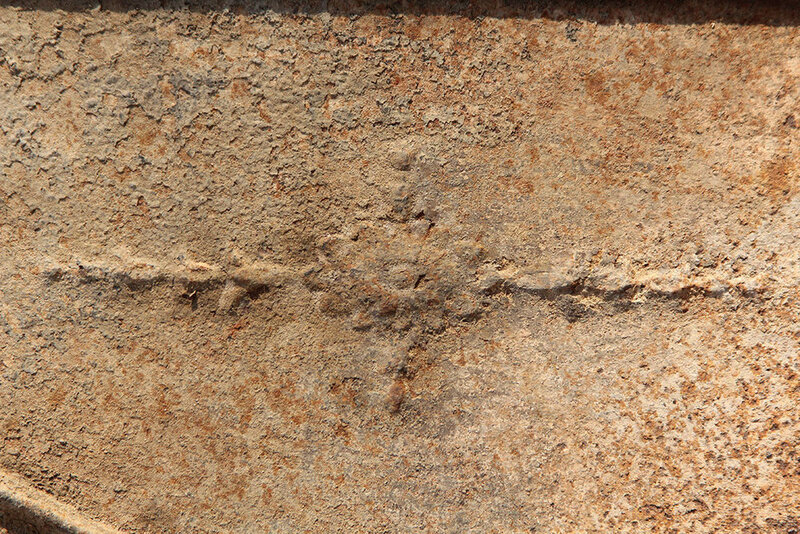 Remaining traces of iron corrosion were stabilized using a 2% solution of tannic acid, in deionized water; converting the iron oxides to a more stable, or passivated, iron tannate. All surfaces of all plates were hot waxed using microcrystalline wax. A final protective coating of stove polish, containing microcrystalline wax, carbon black and a small amount of graphite was applied to all surfaces of all plates.